What just happened? Dell isn't the only coming working on laptops that can take a punishment. Asus has launched two new "TUF" series notebooks that focus on gaming performance and certified durability. For now, the TUF line-up includes the 15-inch TUF FX505, and the 17-inch TUF FX705. Asus promises that both laptops have been rigorously tested, and achieved MIL-STD-810G durability certifications. This means that, in theory, the TUF-series notebooks should be able to withstand table-to-floor drops, shock and vibration, high altitude, "solar radiation," high or low temperatures, and humidity. While we can't verify any of those claims without taking the devices for a spin ourselves, their bulky nature does lend some credence to Asus' claims. Moving on from grand marketing boasts, let's discuss the real meat of these laptops: the screen and hardware. Both devices offer identical component options, but since the FX705 isn't listed on Asus' online storefront as of writing, we'll only focus on the pricing of the FX505 in this piece. FX505 customers will be treated to 144Hz, 1080p "NanoEdge" IPS displays. The laptop comes in 5 different hardware configurations, starting with a Nvidia GeForce GTX 1050 and Intel Core i5-8300H-powered version for $699. You'll also get 8GB of DDR4 RAM and a 1TB HDD. It may seem a bit strange that Asus has chosen to pair a 144Hz display with such -- comparatively speaking -- weak hardware, but users should be able to comfortably hit around 100 FPS in well-optimized modern titles by turning the graphical settings down a few notches. 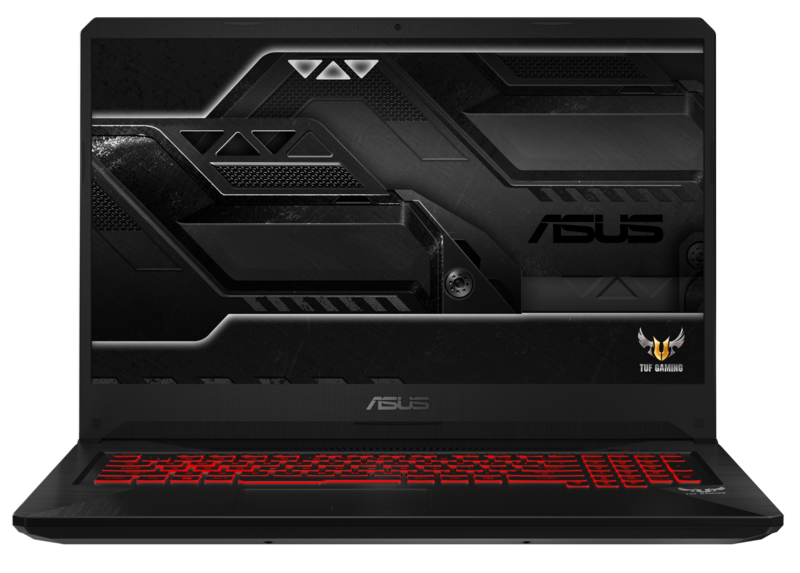 If the 15-inch FX505 sounds like your cup of tea, you can snag any of the previously-mentioned models via Asus' official storefront. If you'd rather hold out for the 17-inch FX705, you can take a look at its design, specifications, and other features on its dedicated marketing page.